I've been in the graphic design world for about 16 years now. It's always changing, there's always something new to learn, there's always a new challenge...and I love it! 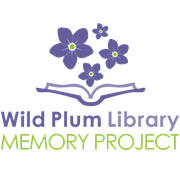 "Thanks for updating our Library Memory Project logo to reflect our newest growth. " "Thank you for updating our logo with our new project name! " "We worked with CreativelyYours on a logo about a year ago and recently approached her to do a 1 on 1 project to update the logo. It was a pleasure working with this designer and will consider coming back again for other projects. Thanks!" "Working with creativelyYours was a great experience. Everyone on our team thought this designer was very professional, made changes quickly and listened to what we wanted and delivered a great product."